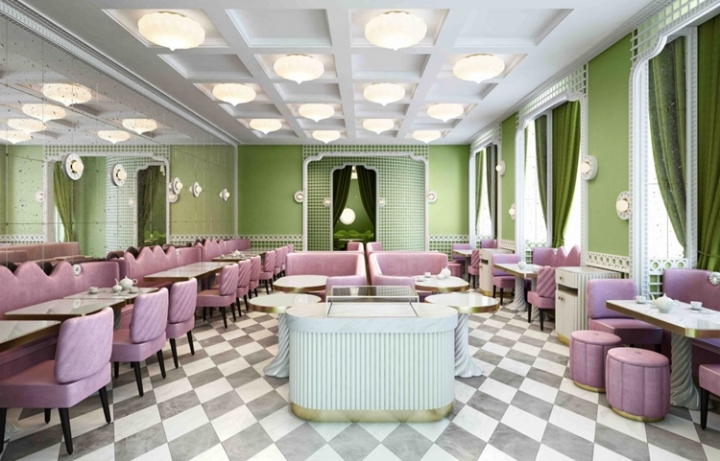 Within the historic Four Season Hotel des Bergues in Geneva, Paris-based designer India Mahdavi has created a whimsical interior for Ladurée’s latest shop. 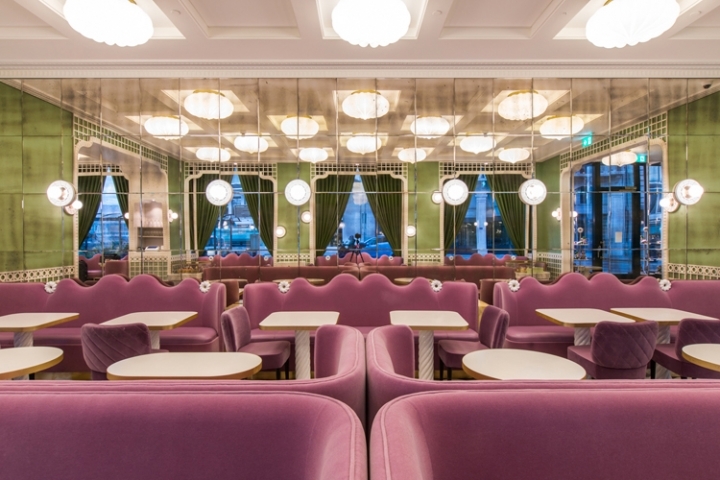 The french pastry brand is renowned for their macarons that come wrapped in an elegant packaging to complement, and their new location includes a patisserie, restaurant and a tea lounge. 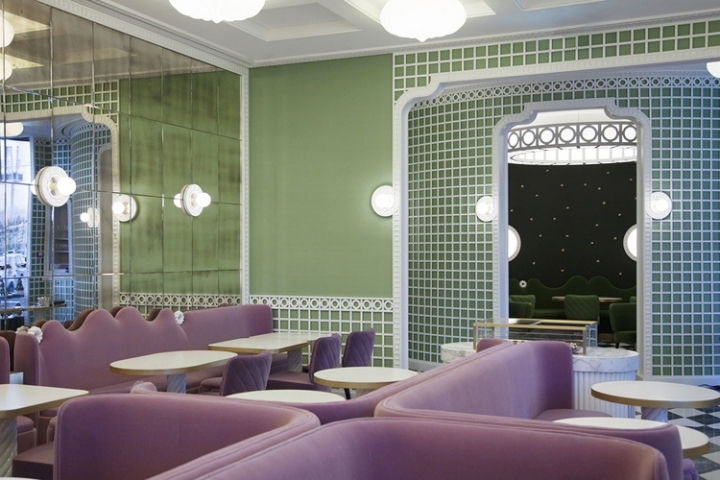 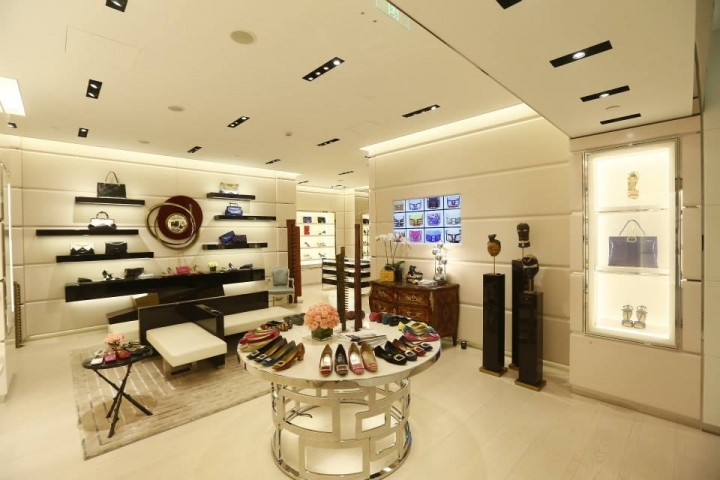 Mahdavi, payed homage to the patisserie’s rich heritage, while modernizing the space. 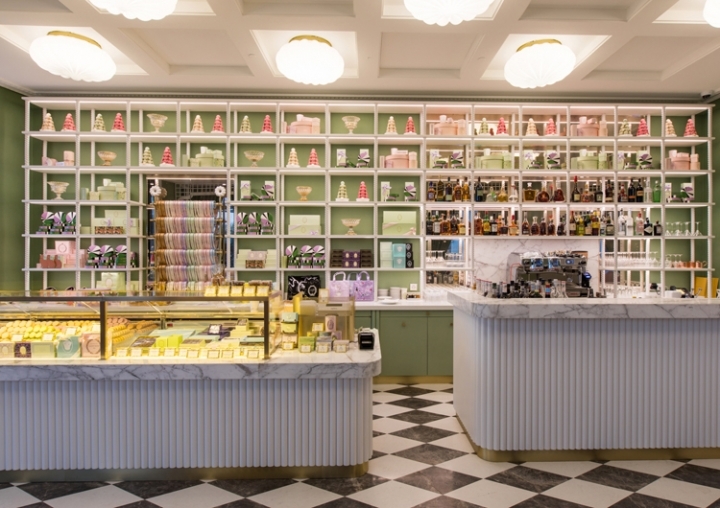 Whipping up a sweet combination of sumptuous materials, rich hues, and elegant finishes, Mahdavi brought the upscale bakery into the here-and-now, 145 years after the first Ladurée opened in Paris. 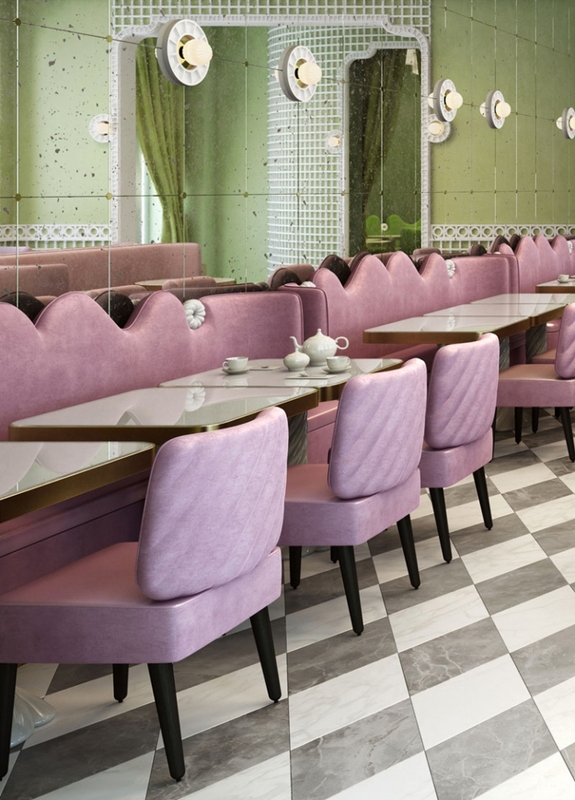 In typical French fashion, the space evokes an elegantly chic, yet playfully unexpected vibe, blending a mix of pastels in an Alice in Wonderland style dreamscape. 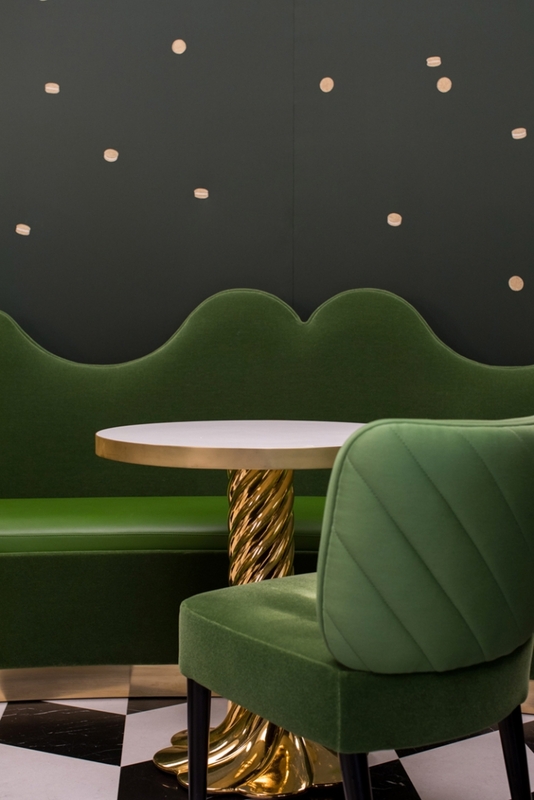 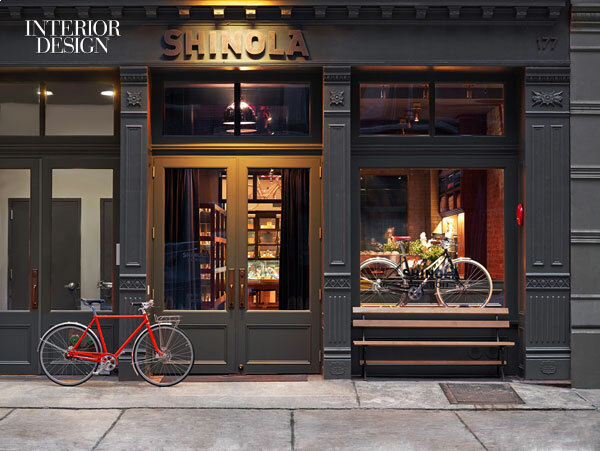 Throughout the space, curved chairs and scalloped banquettes in plush velvet surround tables swirled like candy canes. 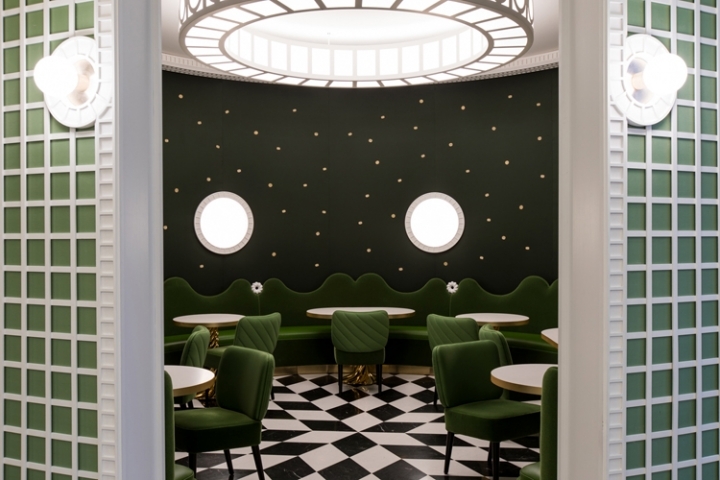 Meringue-like lighting fixtures hang from the ceiling and underfoot, a graphic black and white marble floor adds a classic touch.